The 3iPlanet is a institute of some best Web Designers, Graphic Designers and SEO (Search Engine Optimization) professionals who provides profesional web designing training, graphic designing training and SEO training in Udaipur, Rajasthan. Learn Web Design in classroom based training course in Delhi with the help of an expert teacher. 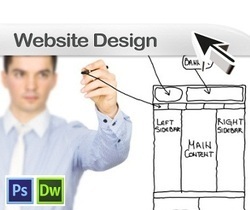 We are a recognized company in this business and are into providing Web Designing Training to our esteemed customers. 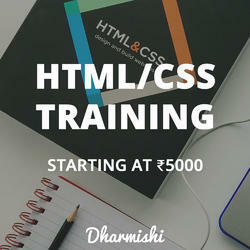 These Web Designing Training services help developers to build more dynamic and interactive websites. Besides, our team of experienced professionals renders these services on time. I provide great web templates in order to serve u the best. In CSS Training course you will be working on live projects, which will help you understand the exact process from the beginning to end. The CSS training program is prepared with the international standard, by leading professionals having industry experience of more than 5 years. Students trust our services like Computer Training Programs, IT Certification Training and other related services. We are a well known service provider in the field of IT Programs and have a huge base of satisfied students who we have built over a period of time by our industry leading quality of course material and infrastructure.